We’re 25 today and are loving the attention. Thank you everyone for all the birthday wishes! Special thanks to Eric Lanlard (aka Cake Boy), who’s baked us a mouth-watering cake for our big day. Founded on Tuesday 4 July, 1989 we’ve been on the go since back when everyone tuned into BBC1’s ‘Top of the Pops’ every Thursday night. The UK no.1 at the time? ‘Back To Life (However Do You Want Me)’ by Soul II Soul featuring Caron Wheeler. Now that we’ve set the scene and hopefully unleashed your nostalgic side, we thought we’d mark our quarter of a century milestone by asking our team their fondest memories (not to mention experiences!) from 25 years ago or from being 25. 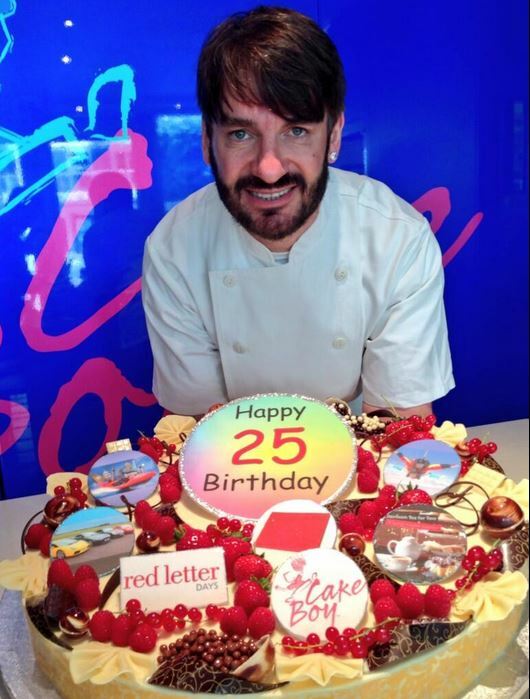 Thanks to the legendary Eric Lanlard for our beautiful cake! Director Gerry O’Brien, who’s been with the company for nine years, married the lovely Pippa in 1989. Here is a picture of the happy couple on their wedding day. The pair as newlyweds back in 1989 – big hair and big smiles! 25 years on, the O’Briens have just celebrated their silver wedding anniversary. Here’s a recent picture of the pair as they soak up the sun aboard Theo Paphitis’s boat. 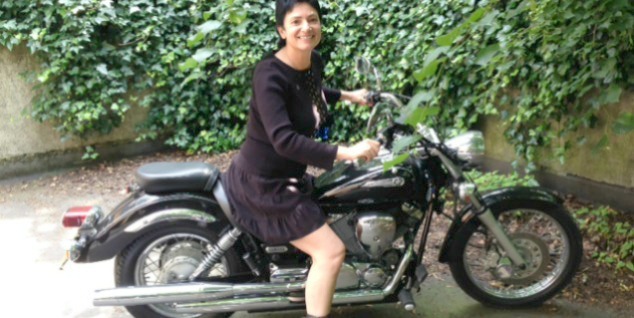 Our Publishing Manager, Issy, passed her motorbike test aged 25. After 15 years at Red Letter Days, she’s still riding around on two wheels! At 25, Rav, our Director of Business Development, road tripped across America with two friends. 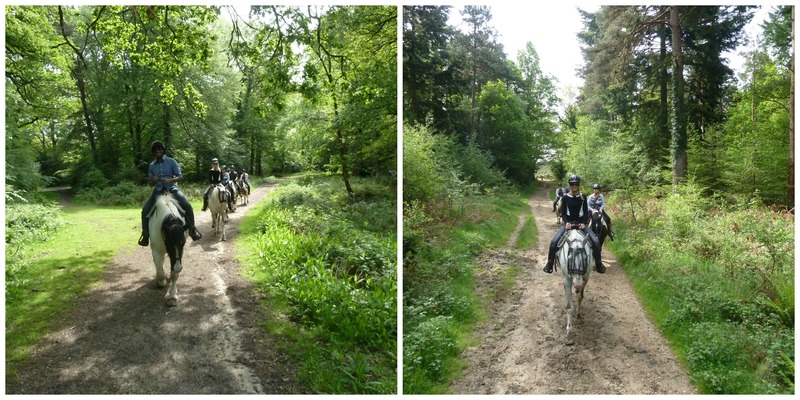 These days, Rav doesn’t look much different, and has since swapped the driver’s seat for the saddle as you might remember from his recent blog post on horse riding! Not only did Dan from our Publishing Team celebrate his birthday yesterday, but he also happens to be getting married tomorrow (to Lynsey, also formerly of RLD), so this 4th of July marks his last day as a single man. We wish them both every happiness together! Right, we’re off to continue the celebrations with cake and champagne – have a great weekend! Do you have any stories from 25 years ago, or from when you were 25?